March 27, 2014  Twenty years ago, many scientists didn't think that genes could cause diseases like cancer. 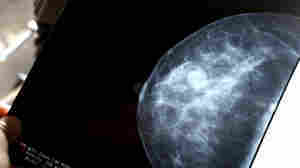 The discovery of the BRCA gene for hereditary breast cancer changed that. 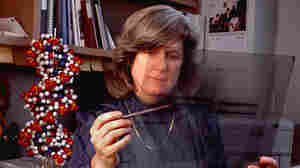 Mary-Claire King tells how. 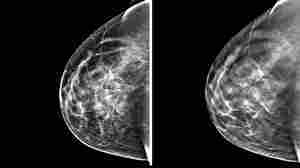 February 12, 2014  A Canadian study finds no reduction in deaths over the long haul for women who got mammograms to detect breast cancer beginning in the 1980s. 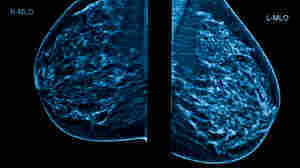 It's the latest study to raise questions about the value of regular mammograms. But radiologists faulted the study as flawed and rejected its conclusions. Are We Paying $8 Billion Too Much For Mammograms? February 4, 2014  Billions of dollars are spent each year on mammograms to screen for breast cancer. If American women are screened less frequently, the cost savings might be used to better tailor the care for women at an increased risk of cancer. January 29, 2014  Cancer patients and survivors are told to exercise, but the disease and treatments can leave them with overwhelming fatigue. 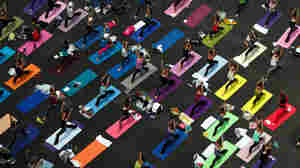 Yoga may be a gentle way to get moving, a study reports, with breast cancer survivors who did yoga saying they had less fatigue than women who did not. January 7, 2014  People are increasingly turning to mindfulness mediation to manage health issues, and meditation classes are being offered through schools and hospitals. 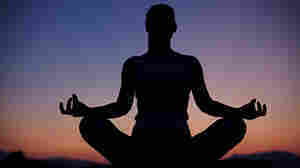 But doctors have questioned whether this ancient Eastern practice really offers measurable health benefits. December 13, 2013  Who wouldn't want something better than mammograms for breast cancer screening? But machines that extract breast fluid to look for abnormal cells aren't it, according to the Food and Drug Administration. Still, some doctors have been offering the test to patients.